The Bears Go Over The Mountain. By ski, or rope or cable. On the left is “Sunshine”, At the right is his sister “Mabel”. 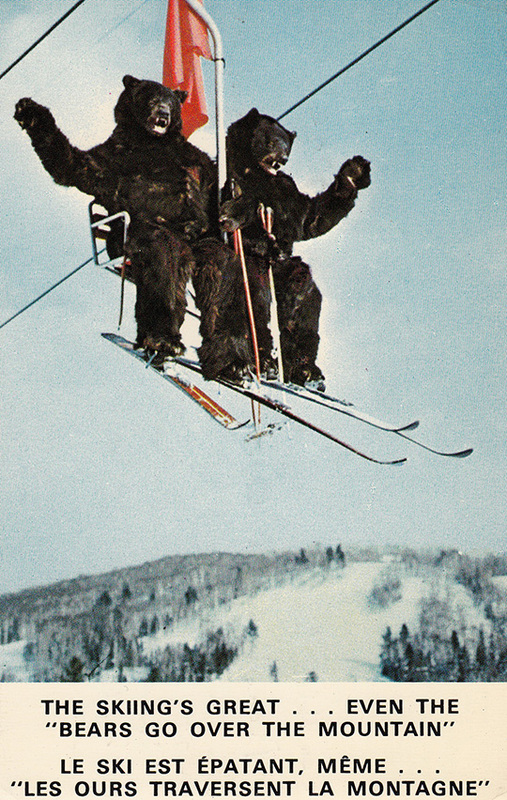 They dearly love to ski and so, Refuse to hibernate. 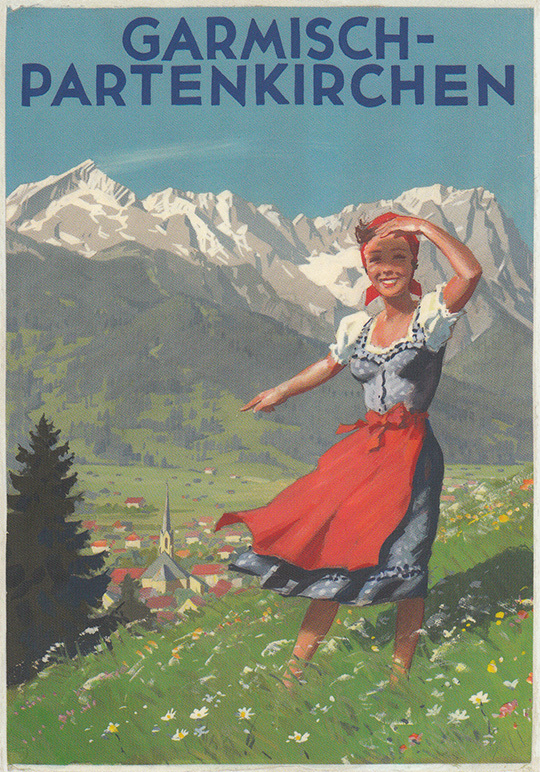 Instead invite you all up here Where snow and skiing’s great. We had quite a good black bear sighting on our mountain bike ride today – same bear (presumably) on two occasions, great view each time. It seems like an appropriate time to share this rather bizarre vintage postcard from Quebec, Canada. 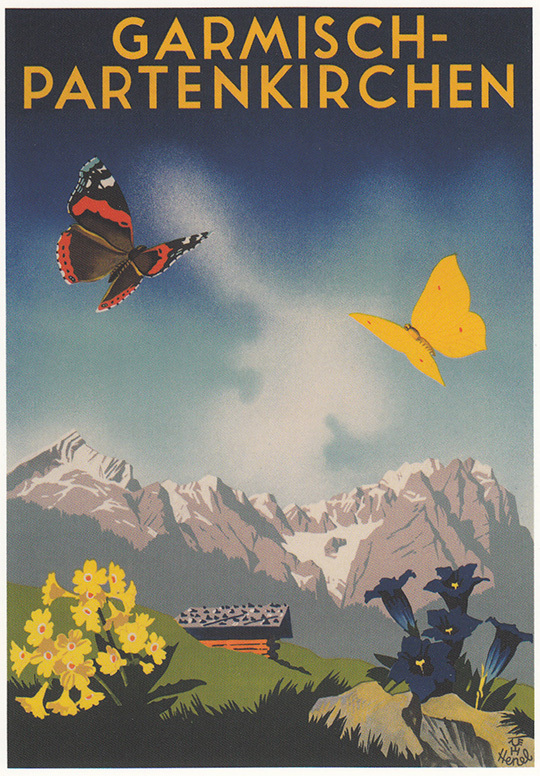 Some enchanting Bavarian summer images from the GaPa reproduction poster collection. 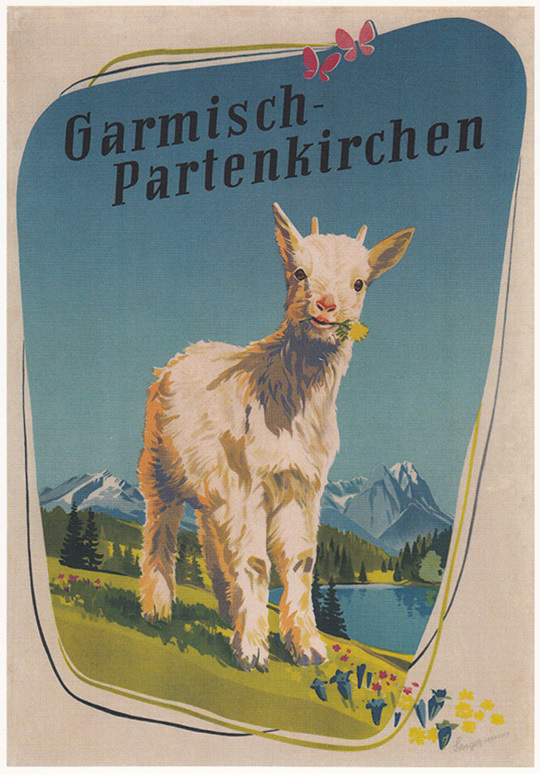 Posters and other Garmisch-Partenkirchen merchandise may be purchased through the GaPa web store.